No 85 The Greencroft. Where Nelson Morris ran his Horse Slaughtering Business. 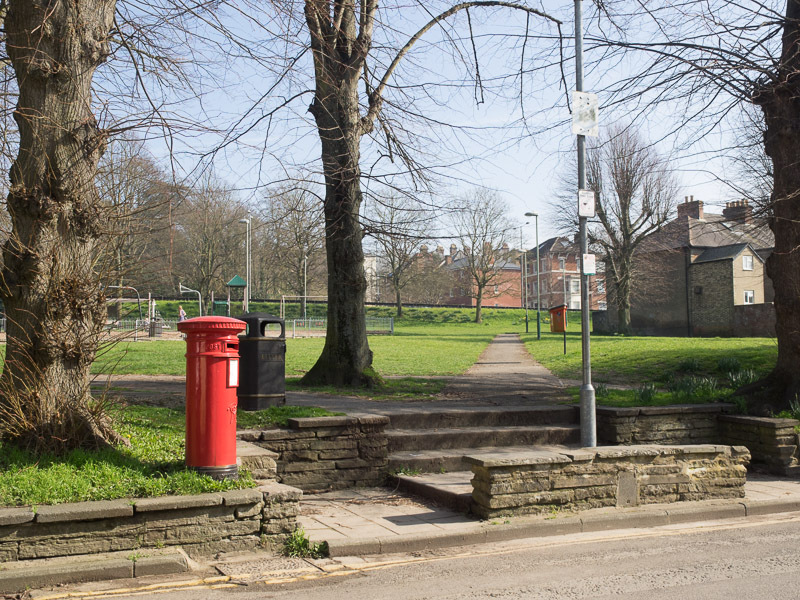 The Greencroft is generally held to be the oldest green space within the City boundary of Salisbury. Since the Middle Ages it has been a space where commerce and industry have co-existed with recreation, and at times, this feature has had to be jealously guarded by the citizens. During the Middle Ages, Salisbury was the centre of a thriving wool trade. Newly made woollen cloth was hung out to dry and stretch on large racks, called ‘tenterhooks’. Hence our expression for tension ‘being on tenterhooks’. This, like the grazing of animals, was environmentally friendly and permitted by the City. But the City Fathers were careful to safeguard the citizens’ rights to recreation. Leases of the Greencroft usually included the clause ‘reserving the liberty of playing and walking’. In 1348, the whole of Europe was devastated by the pandemic known as ‘The Black Death’. This is usually held to be bubonic plague, spread by fleas on rats. It is estimated that one third of the population of Europe was wiped out in a couple of years and Salisbury was no exception. The plague became endemic and returned at intervals, though usually more localised and less virulent. Salisbury was hit by a particularly bad outbreak in 1627. In St Edmund’s churchyard alone, 172 victims were buried in one month. When the plague struck, churchyards simply couldn’t cope and mass graves – known as ‘plague pits’- were dug on the outskirts of towns. One of Salisbury’s chosen sites was the Greencroft. The precise location of the pits is uncertain, but there is a long established principle that subsequent building is not permitted on the plague pits this may have protected the Greencroft from development in the following centuries. In 1939/40, air raid shelter trenches were dug here, but they were on the line of the old city rampart, which would not have been used for plague pits in the fourteenth century. Among the rights reserved by the City Fathers, when leasing out the Greencroft, were ‘rights of execution’. In an age when you could be hanged for stealing anything worth more than a shilling, it was always a problem finding venues for gallows. Executions in Salisbury also took place on the other side of town, in the Fisherton district. The Greencroft had plenty of space, needed, as executions were public spectacles. The gallows could be dismantled and the Greencroft returned to its role as a playground. It is recorded that in the 18th century two soldiers were executed here for desertion. No. 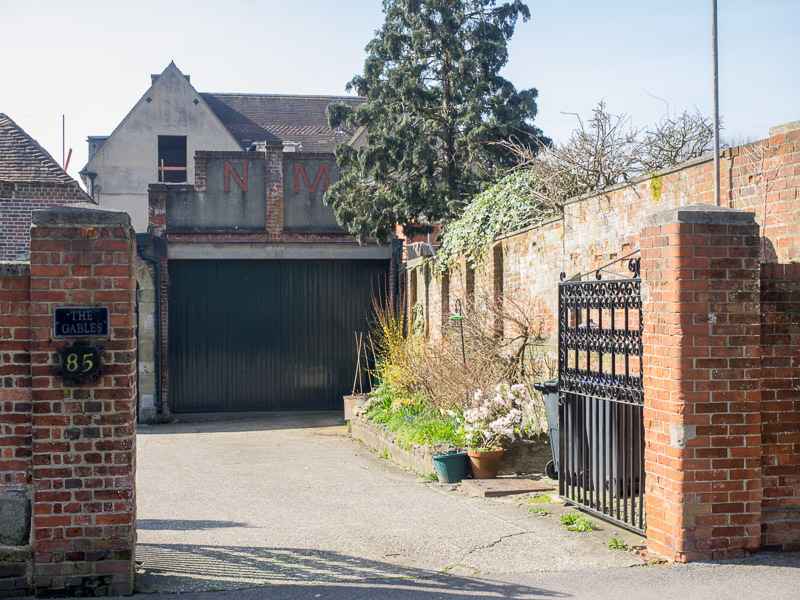 85, The Greencroft was originally a stable yard, and has the initials ‘N.M.’ engraved on its front. This was the business of a prominent Salisbury character in the early 20th Century – Nelson Morris, the horse dealer and slaughterer. At that time, horses were used extensively for haulage. Nelson, in fact, provided a service that would nowadays be supplied by a vet. He also provided ‘horse ambulances’ for the Salisbury Races. When he died, the 115 wreaths at his funeral included those from Salisbury vets, Chipperfield’s Circus and the Salisbury Racecourse. 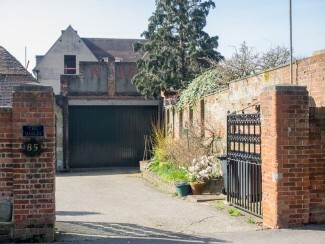 When horses were superseded by the motorcar Nelson Morris turned his premises into a garage. You can listen to Michael’s audio clip at the right of the page or on your downloaded MP3 file from the Downloads page. Leaving Stand 1, walk up the Greencroft along the tarmac path, keeping the children’s play area on your left. I remember the horses so often tethered on the greencroft. Like michael i didnt realise they were awaiting slaughter . I got a really nasty kick one day stroking one! 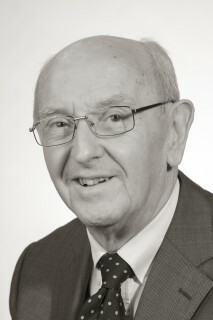 Michael – thank you so much for your additional memories of the Greencroft. This really gives us a clearer picture of what it was like and adds to our growing knowledge of the past.